Winning the lottery is probably a big wish for most of you out there. There’s nothing stopping you from dreaming about fortune, after all. Now you can feed your fantasy on what it is like to win a lottery through various lottery themed movies. Maybe bet on the numbers used in the films as your inspirational digits on your ticket. Buying tickets online is easy, saving you the time and hassle of going to the shop. On CompareLotto.com, there exist a variety of lotteries from which to choose when playing the lottery - and from anywhere in the world! The online results are updated as lotto draws take place every day of the week. Motivation and commitment are key if you are ever going to win the lotto. Check out these entertaining cinematic gems about lottery winners if you’re looking for a boost of enthusiasm and faith before your next lotto game. 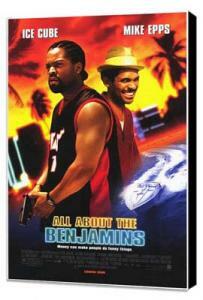 The name of the film comes from the P. Diddy song ‘It’s all about the Benjamins’ that came out in 1997. This comic thriller released in 2002 features Ice Cube who plays a bounty hunter, Bucum Jackson. His next target is Reggie Wright (Mike Epps), a hustler who plays the lottery with numbers 15, 30, 37, 38, 45, 47. He wins the lottery only to find out he is being pursued by Bucum. To avoid getting caught Reggie hides in a van driven by two murderous thieves who set off with $20 million worth of diamonds. Reggie leaves his wallet by mistake that contains his lotto ticket in the van. So the hunt is on for Jackson and Wright to find the van with the precious gems and lotto ticket. The film co-stars Eva Mendes, Carmen Chaplin, Jeff Chase and Bow Wow. This film made was inspired by the Pennsylvania lottery scandal in 1980. 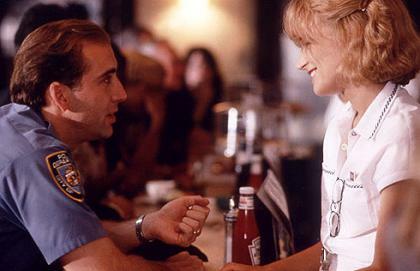 A comedy film released in 2000 starrs John Travolta as the celebrity weatherman, Russ Richards. He invested in a snowmobile company that had already been struggling due to the warm weather. Russ’s friend Gig (Tim Roth) advises him try an insurance scam but ends up in debt. Gig convinces Russ to rig the lottery with help from Crystal Latroy (Lisa Kudrow). Richards asks someone else to buy the ticket with the winning digits 7, 9, 16, 11, 27, 70. What happens after is worth leaving unsaid as it will ruin the fun in the movie. Are you looking for an entertaining film to watch? Whether it is comedy, romance or a thriller, keep popcorn at the ready. On top of that, do not forget your lotto ticket in your hand for the chance to win amazing prizes.